The plant with a height of 15 to 50 cm has 6 to 8 leaves and a long inflorescence with 4 to 20 flowers. Those are rather big and wide open. The lateral sepals are bent downwards. The hypochil, i.e. the back part of the lip, is shaped like a bowl, the epichil, i.e. the front part of the lip, is rounded and has curled edges. 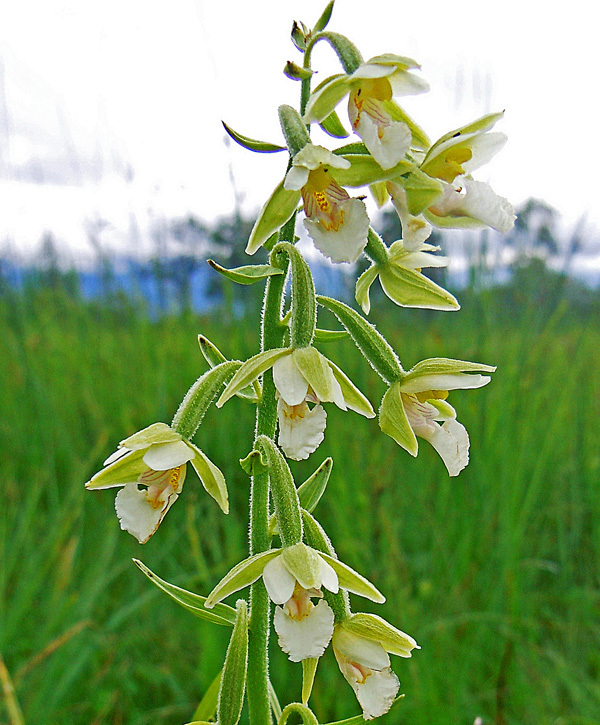 In 1753, Linné described the plant as Serapias helleborine var. palustris. Its present name was defined by the Austrian botanist Heinrich Johann Nepomuk von Crantz in his opus Stirpium Austriacarum fasciculus (1769). The sepals have a red-brown colour, the pepals are mostly white with a touch of rose. The hypochil is white with red veins, the link to the white epichil has yellowish-orange dots. Plants without any red in the flowers have been described as lus. ochroleuca. 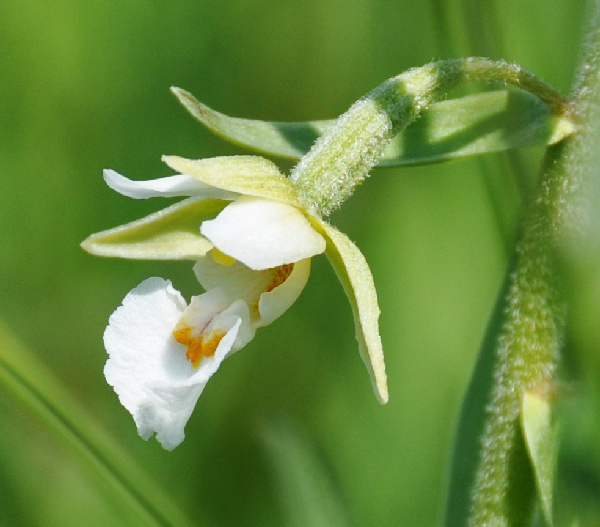 Epipactis palustris is growing on wet grounds and in marshes , in large parts of Eurasia. It blooms from June to August.